Let’s imagine you’re a system administrator at a large company. You are implementing a new network of several hundred computers. All is fine and well until you realize: you have to manually input every single IP address, subnet mask, and gateway settings onto every single computer. You’re paid well, but maybe not that well. For those of us who don’t think many hours worth of data entry is fun, we turn to DHCP- or Dynamic Host Configuration protocol. 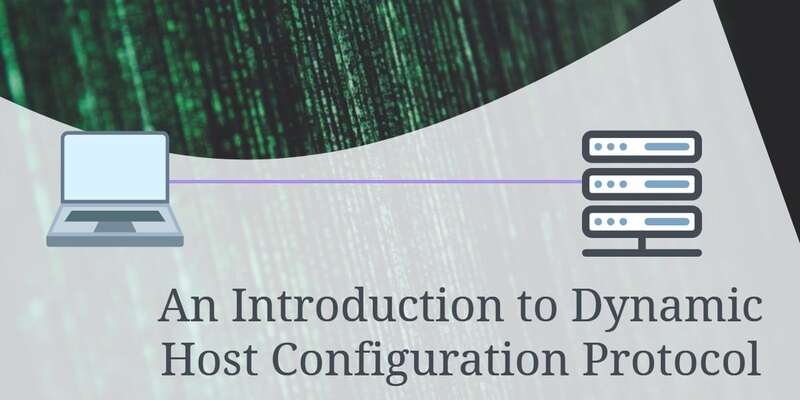 Dynamic Host Configuration Protocol was developed to automate the assignment of IP addresses, subnet masks, gateways, and other IP parameters. It allows for much capability- both with the administrator and end-user. It saves the administrator the trouble of modifying IP information every time an implementation or upgrade is conducted. 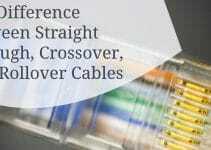 End-users appreciate it since it allows for quick and simple connections to a network- often without any configuration needed. DHCP was created by the Internet Engineering Task Force (IETF) and became a standard in 1993, where it succeeded the BOOTP protocol. DCHP is actually based on the BOOTP protocol, which can be seen as a simpler and less complex solution to DHCP. The transition was needed since BOOTP was not designed to provide dynamic address assignment. Instead, administrators tediously maintained configuration files for each host on the network. Instead of a multitude of configuration files, a dynamic alternative was created with DHCP. DHCP works within four steps: DHCP discovery, DHCP offers, DCHP requests, and DHCP acknowledgement. The DHCP will then receive a lease request from the client. This lease determines how long the client can expect to use the IP information it will obtain from the server. A DHCP message referred to as DHCPOFFER is sent back from the server to the client. This message contains the lease duration, IP address, subnet mask, the client’s MAC address, and the IP address of the DHCP server that issued the message. Upon a successful transaction of information, the client must then tell the DHCP server that the information was indeed received and accepted. 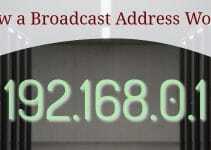 A broadcast is initiated with the DHCP server’s IP address. This will tell other possible DHCP servers that they shouldn’t issue IP information to the client, since the client already obtained the necessary information. This will help free up IP addresses for other computers, as only one lease can be obtained per network interface card. 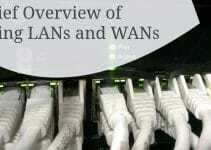 DHCP acknowledgement is the final phase in the information exchange between server and client. In this phase the server obtains the DHCPREQUEST message from the client, and sends back a DHCPACK message. This packet of information includes the lease duration, as well as any configuration information the client may have requested. At this point the process is complete, and the client will configure its IP information accordingly. As you’ll recall, the lease is the length of time the client can expect to hold the information obtained by the DHCP server. To fully grasp the need for leases in DHCP configuration, we need to know the significance of the network it is installed on. Leases are commonly set to anywhere from 15 minutes to several months- so what’s the ideal lease time? 15 Minutes – You may use a lease time of 15 minutes when there are more clients than there are IP addresses. This will ensure that every client on the network will have the capability to access network resources, even though there may not be enough IP addresses present. This may be a good choice for a popular wireless access point, for example. Keep in mind this will lower network performance as a result of an increase in DCHP messages. 24 Hours – The default setting on many DHCP servers. This will renew IP information for devices every 12 hours, since we have a 24 hour lease time. (Renew time is 50% of the lease time. If the renewal fails for some reason, it will try again in 6 hours, in our example.) A 24 hour lease time will allow new users to connect to a network on a daily basis- good for both home and work applications. 1 Week – This timeframe will allow networks that seldom change to still operate. If a change in network structure does indeed occur, clients will need the changes to propagate throughout the network to function properly. This allows for a certain level of flexibility, but also ensures that the(normally) conservative network isn’t congested with DHCP traffic. 4 Months – This lease is more for stable networks that are unlikely to change. In particular they are best suited for educational networks that allow a summer break. Obviously, computers will be unlikely to be used for a period of around 3 months while summer being observed. This will allow networks to keep IP information despite the long inactivity. 1 Year – If a user hasn’t used an IP address in 6 months, the user is most likely not coming back. This is good for networks that have a large amount of IP addresses to administer to a wide range of clients. If a user hasn’t come back in 6 months, we can recover the IP information for future use. Obviously, the priority here isn’t for clients- but rather simple housekeeping. Infinite – It is highly recommended that lease times not be set as infinite. This will effectively create a set in stone network. If a laptop user happens to request an IP address and never comes back, that IP address is lost for all of infinity. It should be noted that some devices don’t support the infinite lease setting- which may result in server crashes and other related problems. DHCP is a very commonly used protocol. If you’ve ever looked at a computer’s IP settings and seen the option “Obtain an IP address automatically,” you can be sure DHCP is hard at work. This is the very same hard work that would’ve been given to the unfortunate system administrator. Clearly, DHCP is one of the “I’m sure glad someone thought of that!” protocols would be hard to imagine life without. This article is too simple and too good. Explained everything in simple way. I am really thankful to you at the same time you may give the details about the step by step configration of DHCP servers. well written. so easy to understand! i want to know about renew of ip address. i would like to know what message does the client sends to renew it address (i could not find this info). Is there a way to prevent/restrict which clients DHCP will issue leases to ? We use videophones, and occaisionally, folks will reset them, trying to get an IP address (they are on a sep network) …and they are addressed statically. Good but would have added value if a list of standard DHCP parameters and their definitions is included. Very helpful article..Thank you for the info! I was always curious about the inner workings of DHCP, but I never knew how it really worked…It just made my life a heck of a lot easier. Now I know! i liked this site so much . hi! you good explanation about dhcp. however, i wanna understand how setup and configure dhcp with user interface or scree shoot? thanks very much!